The Australian Sheep & Wool Show is coming up on Friday 19 July 2019. (Penning day on Tuesday 16 July). ASSBA members and their families will be meeting together for dinner at the Bendigo & District RSL from 6.00pm - 7.30pm prior to the Committee Meeting. Bistro meals at own cost. 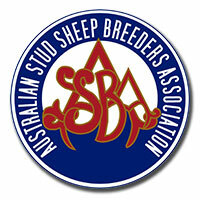 Open to ASSBA Members, Photos of Sheep listed in the ASSBA Flock Registrar (Flock Book). Subject: Individual sheep, groups, ewe(s) and lamb(s) or sheep and personality. ASSBA will have the right to use a copy of the entry when and where required. Entrant to provide a printed copy up to A3 in size and make a digital copy available (minimum 4MB jpeg file). Photographs will initially be displayed at the Melbourne Show at the digression of ASSBA and RASV. ENTRY FEE: $10.00 for first photo and $5.00 each photo thereafter. Prize Money will be a percentage of the entrance fee pool. Entries can be posted to Karen Bond, Secretary ASSBA (PO Box 491, Bacchus Marsh Vic 3340), or delivered to the Livestock pavilion at the Melbourne Show by 6.00pm on Thursday September 19th, 2019. Entries close Thursday 12 September 2019. Actual prints to be collected after Melbourne Show. Melbourne Show 2019 - Wiltshire Horn is the Feature Breed. Sheep will arrive on Thursday 19th September and leave on Monday 23rd September.